Once a rustic fishing village, Punta Mita, has been artfully developed as a luxury destination. It is important to note there are really two areas here. The Punta Mita resort with luxury villas and amenities to enjoy. Next to the resort is the quaint seaside town of Punta de Mita in Nayarit, also referred to as El Anclote, with beachside restaurants and surf shops. Punta Mita is home to the Four Seasons and St. Regis Punta Mita resorts, as well as a collection of exclusive luxury private Punta Mita villa rentals and vacation rentals. Amenities include a tennis club, two Beach Clubs, walking trails, and two Jack Nicklaus Signature golf courses. At the same latitude as the Hawaiian Islands, Punta Mita is comfortable year round by gentle sea breezes, with average summer temperatures around 85 °F, and 75 °F during winter months. 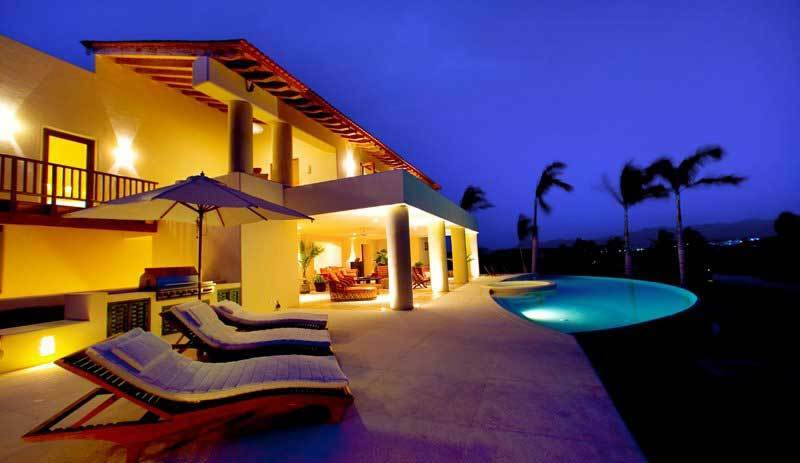 Because of its temperate and tropical climate, renting a Punta Mita villa is a popular vacation choice. 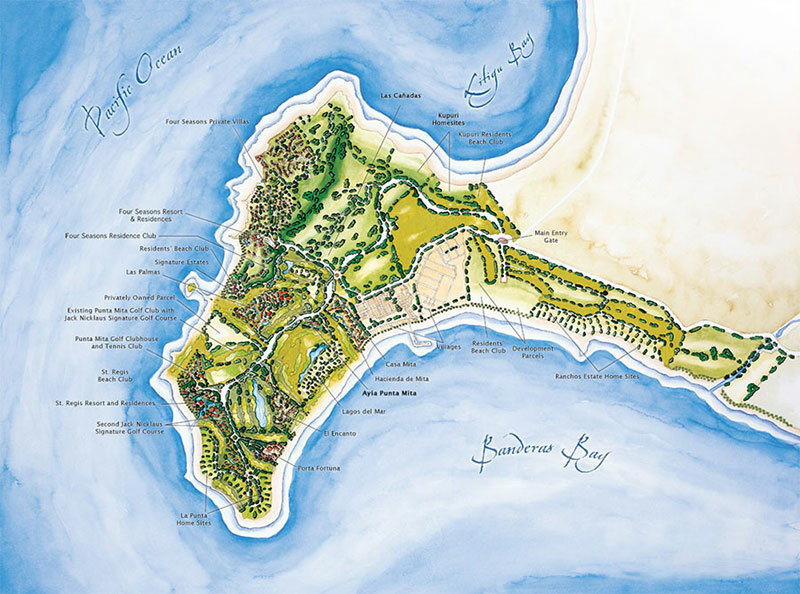 For those who love golf, few locations compare to the impressive golf courses of Punta Mita. The area has become one of the preferred destinations for golfers from around the world. The secret to these courses' success resides in the combination of magnificent surroundings including mountains, tropical forests and beaches which are a perfect backdrop. The Punta Mita fishing area is located on Mexico's open, central Pacific coast. During the summer-fall months of June-October and into November, the peak yellowfin tuna season brings tuna of all sizes, including huge fish pushing close to the 400-pound class, to the Punta Mita outer waters. Take your catch back to your villa in Punta Mita to have the chef prepare your freshest fish for a delicious dinner. Humpback whales and a wide variety of dolphins including Orcas inhabit the waters of Punta Mita during the winter and spring months. The weather in Punta Mita provides comfortable conditions to view these gentle giants from the deck of your Punta Mita vacation rental. Punta Mita is home to many of the longest and least crowded point breaks in Mexico. Due to the curvature of its coast, there are always surf breaks ideal for the current conditions which results in generally good to great spring, summer, fall and winter surf. For your convenience, there are Punta Mita villas that you can surf outside of your back door. Let yourself be swept away by the fine sands, whimsical rock formations, and fresh air of Punta Mita. 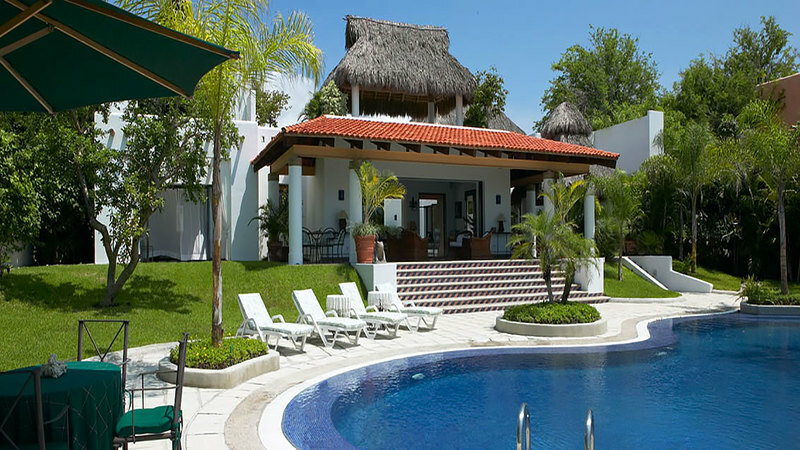 You will return home with an allover sense of rest and regeneration from your stay at your luxury Punta Mita villa.